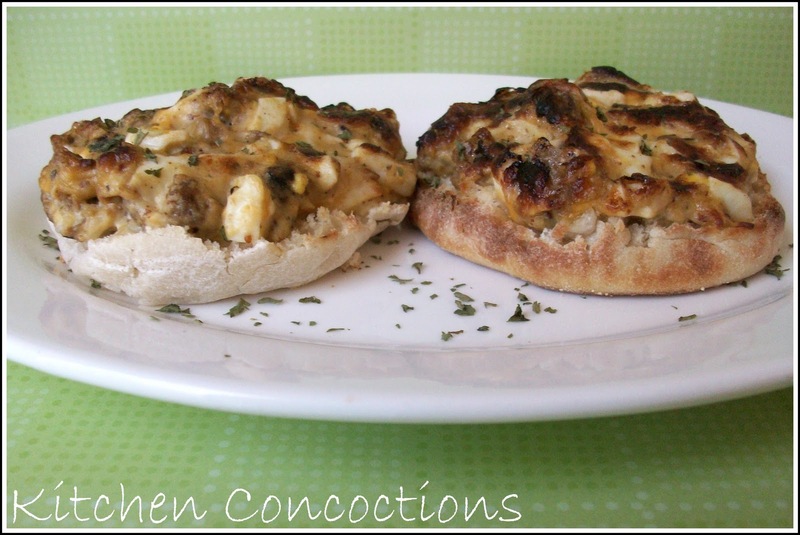 The count down to Christmas continues today with another easy breakfast recipe! I saw these Make-Ahead Muffin Melts awhile back on The Pioneer Woman website and knew I wanted to try them. These were so easy to make. You are supposed to mix the topping mixture and let it refrigerate over night. This makes them great for Christmas morning since the topping is premade assembly is quick and cook time is minimal. 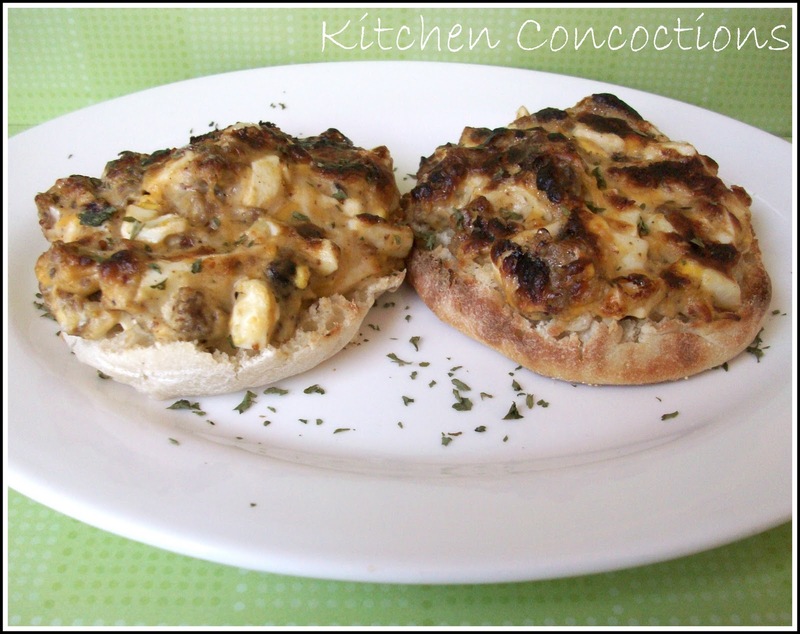 Now with a breakfast that easy these would be great on a busy weekday morning too! Notes: PW used bacon in her topping, however I had some of these sausage patties left over which were so flavorful that I just used them and crumbled them up. These were so yummy. They reminded me of an egg salad sandwich but with more flavor! Oh and one more thing, these cook under the broiler. Which is convenient because they cook fast but make sure and keep an eye on them and don’t leave the kitchen to answer the phone like I did or they might get a little too brown!